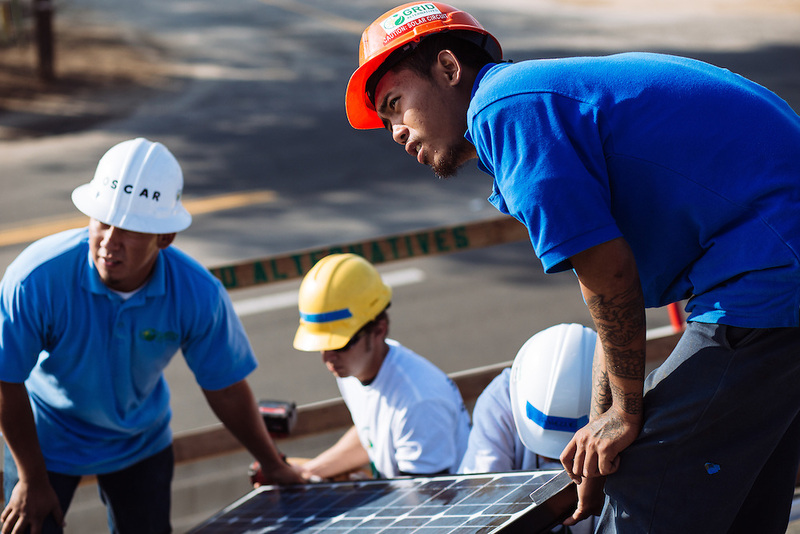 Denny Sysaknoi, 21, works on the roof of a home in Madera, California during a Solarthon event with Grid Alternatives. Sysaknoi did a six-month internship with Grid Alternatives before getting a full-time job with Lifestyle Solar. Sysaknoi was raised by his grandmother in a tough neighborhood in Fremont and now has a child of his own.